Lehigh University is known for it’s prestigious standards and rigorous courses. But one of the reason why this school is so great is because of the amazing faculty that this school has. Many professors in the mechanical engineering department have achieved so much in their careers and are now sharing some of their knowledge with us, the students, through not only the theory the learned but also the experience they have gained in their respective field. For this week, I decided to write about professor Terry Hart. Professor Hart, is a Lehigh Alum and is one of the very selective bunch that has traveled to space through NASA. He is a former Air Force Fighter Pilot, which he always has many cool stories to share if you ever have him, and he has had much success in other areas in engineering. If you can take a course with him, I would highly recommend it, because not only will you learn but you will enjoy the material as well. So here are some of the things that Professor Hart has done throughout his career. Terry Hart ’68 is a former NASA astronaut, pilot, and successful telecommunications executive who joined Lehigh’s faculty in 2004. 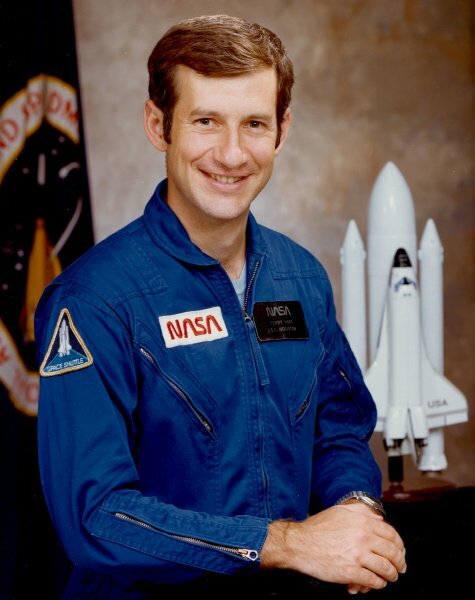 He was aboard the STS 41-C Challenger, NASA’s eleventh Space Shuttle mission, launched from Kennedy Space Center on April 6, 1984. The Challenger crew members logged 168 hours in orbit above the earth and were the first astronauts to repair a satellite from the shuttle. Hart operated the Remote Manipulator System (RMS) that retrieved the Solar Maximum Satellite for repairs. He also acted as rendezvous navigator and filmed footage using an IMAX camera for a movie titled The Dream is Alive (1985). Terry has been a fighter pilot in the US Air Force, and has held various positions in industry including Member of Technical Staff at Bell Labs and President of Loral Skynet. Hart is the holder of two patents for his previous work in noise suppression circuitry and safety devices for electronic power converters. His current research activities include spacecraft attitude determination and trajectory optimization and Lehigh’s NASA Hopper Spacecraft Simulator project. Hart is also a FAA Certified Flight Instructor, and a member of AIAA, IEEE, Tau Beta Pi, and Sigma Xi. Honors and awards include induction into the Aviation Hall of Fame, the Rutgers Hall of Distinguished Alumni, the New Jersey Distinguished Service Medal, the Pride of Pennsylvania Medal, the NASA Space Flight Medal, the U.S. Air Force Commendation Medal, and the Lehigh University Alumni Award. At Lehigh, He teaches many courses like Introduction to Aerospace Engineering, Spacecraft Systems Engineering, Mechanical Engineering Systems, General Aviation Technologies and Operations, Propulsion Systems, Launch Vehicle Concepts, Control Systems, Aerodynamics and others. I have already taken two courses with him (General Aviation Technologies and Operations, and Introduction to Aerospace Engineering) in which I have enjoyed very much and learned a significant amount throughout the course of the semester. Not only that but he is also my academic adviser, so we spend quite some time together talking about my future and what opportunities could possibly have the best and greatest impact in my career. To conclude, Professor Hart is very cool and down to earth, his office door is always open and he is always willing to help, and again, if you can take a class with him, I would highly recommend it! This entry was posted in Uncategorized and tagged Astronaut, Challenger, Hart, Hopper, Loral Skynet, NASA, Spacecraft, US Air Force. Bookmark the permalink. can help them. They work very hard and try different things so that it becomes easy for us to cure our ailments.